Some time ago I published a post “THE WOMAN WHO LEFT YOU”. 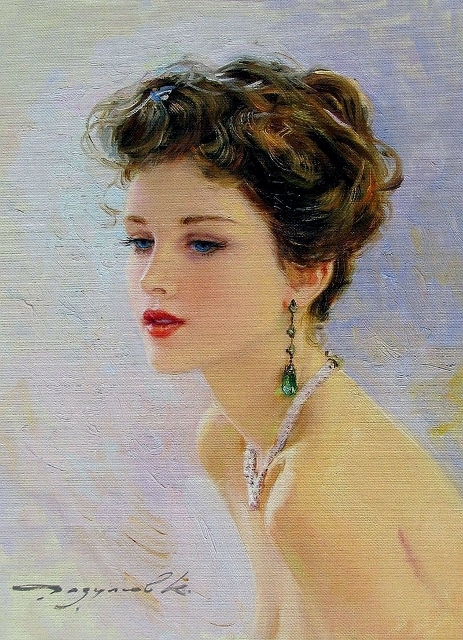 I explained in the post how I found paintings of Konstantin Razumov and gave a link to them. Below is one of his paintings. I hope that you will use the link above to read my short post, to enjoy Razumov’s paintings and a clip of music in the post. There is also a wonderful poem in the post. It tells about spirit of beautiful women of Konstantin’s paintings. The poem is in Russian. Remember your arms around her. She will be older on one more loss.